Buster & Cogdell Builders is a Houston based firm specializing in custom home construction and large scale renovations. 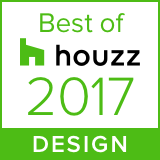 We work with many of Houston’s best architects and designers to help our clients create the home of their dreams. Buster & Cogdell Builders was formed in 2006 with the idea of creating a custom home construction business that is reliable and honest and offers exceptional customer service. Our team of professional craftsmen understand your home is one of the biggest investments you will ever make. From beginning to end, we inspect every stage of construction, with the intention that the finished product is a home we would live in ourselves. One of the biggest accomplishments in our careers has been the relationships we have built with our clients and their satisfaction with our work. We consider it a privilege to work on a clients home, and ultimately bring their vision to life.